Outstanding design doesn't have to be a puzzle - especially when all of the pieces fit so beautifully together. Verner Panton's Cloverleaf Sofa was designed in 1969 for the legendary Visiona 2 exhibition in Cologne. Playfully walking the line between sensuous seating sculpture and modular pragmatism, the sofa consists of a build-up system. There is a right, left and middle unit, which can be connected to adapt and transform for your space. 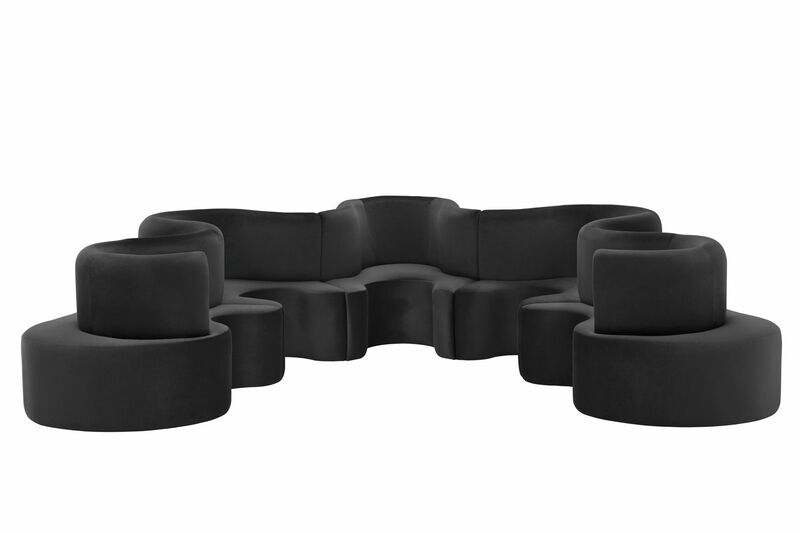 The three pieces are designed to fit with each other, building up from two to six pieces, forming a fluid hexagonal shape that encourages multiple ways of being seated.